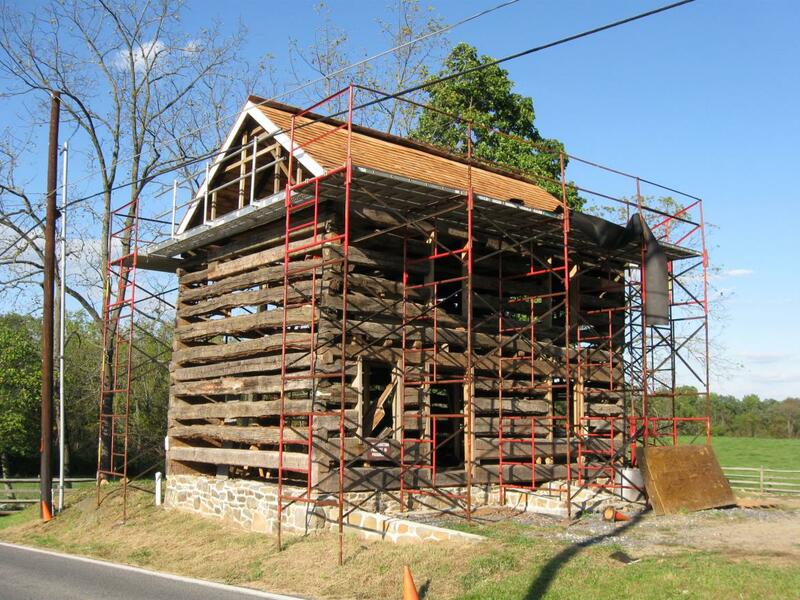 The roof has been completed on the William Patterson House. The Taneytown Road is on the left. This view was taken facing north at approximately 4:45 PM on Thursday, October 1, 2009. 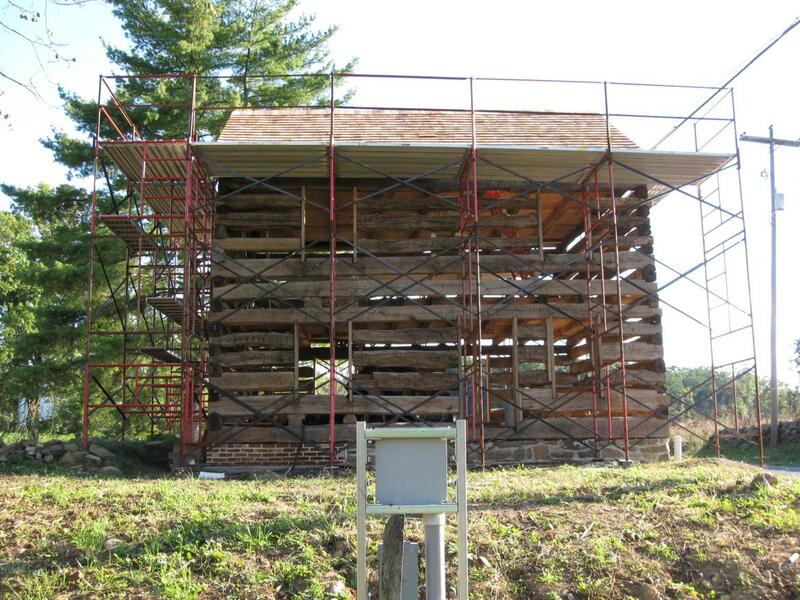 The roof has now been completed on the William Patterson House. Progress on the house has been slow lately, but with the onset of colder weather, the National Park Service is allocating resources to have it completely enclosed before winter. Four National Park Service employees/volunteers will soon be working exclusively on the house. This view was taken facing northeast at approximately 4:45 PM on Thursday, October 1, 2009. 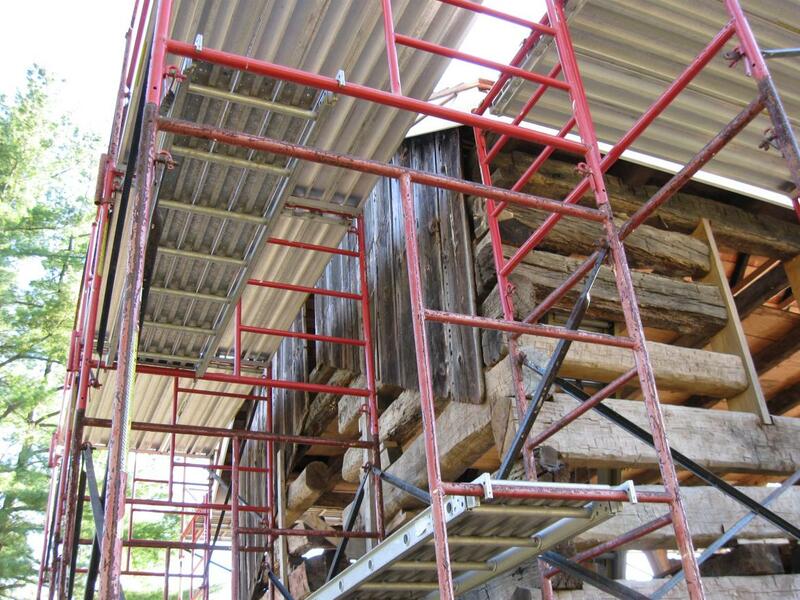 The National Park Service has been experimenting with the proper mixture of material to use in chinking the logs. This view was taken facing east at approximately 4:45 PM on Thursday, October 1, 2009. By the way, when one stands in the Patterson Field, there is another recent change. There is now a lawn instead of an unkept field. This view was taken facing east at approximately 4:45 PM on Thursday, October 1, 2009. One of the maintenance employees remembered/discovered that before they let this area grow up to be a forest, they used to frequently mow this field. This view was taken facing north at approximately 4:45 PM on Thursday, October 1, 2009. So they decided to cut it again, and there is a big difference between the lawn in the foreground, and the overgrown part in the background. This view was taken facing northwest at approximately 4:45 PM on Thursday, October 1, 2009. The National Park Service had been spraying this field which is why the plants are black. Now, since the lawn is working out, they’re going to cut the rest of the field. This view was taken facing south at approximately 4:45 PM on Thursday, October 1, 2009. 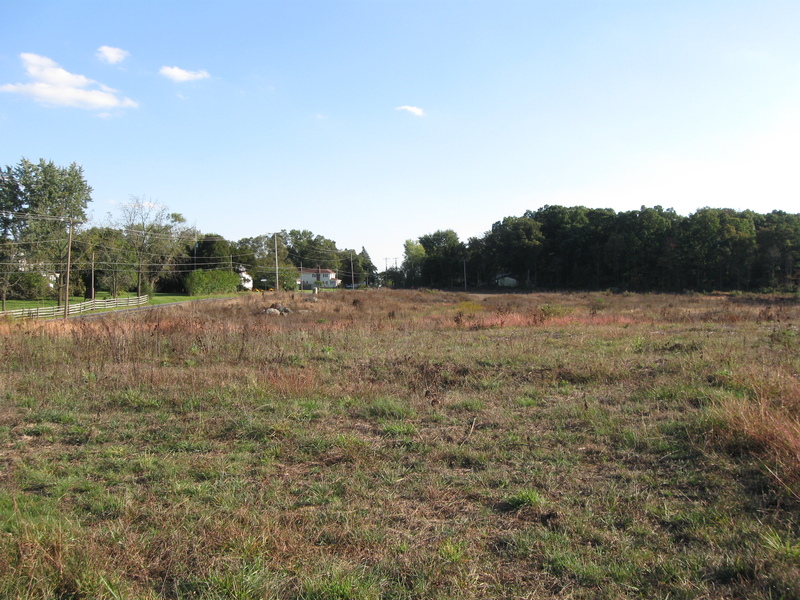 If the whole field becomes a lawn, it will be interesting to see what plans the National Park Service will have for this area. This view was taken facing south at approximately 4:45 PM on Thursday, October 1, 2009. 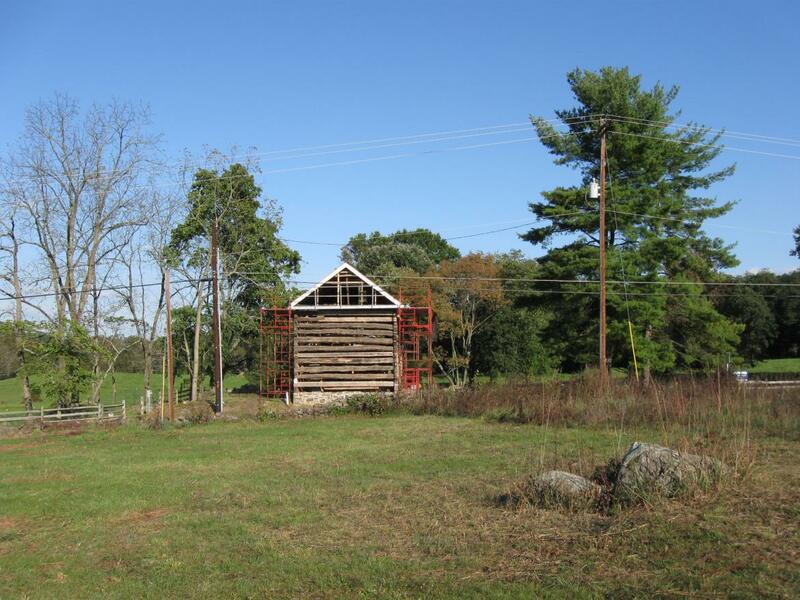 There isn’t much time left to see these original logs, some of which date to the 1700s. This view was taken facing southeast at approximately 4:45 PM on Thursday, October 1, 2009. Board and batten siding will again cover the logs. This view was taken facing south at approximately 4:45 PM on Thursday, October 1, 2009. Some siding has already made its appearance. This view was taken facing southwest at approximately 4:45 PM on Thursday, October 1, 2009. Taneytown Road Battlefield Rehabilitation on July 18, 2008. 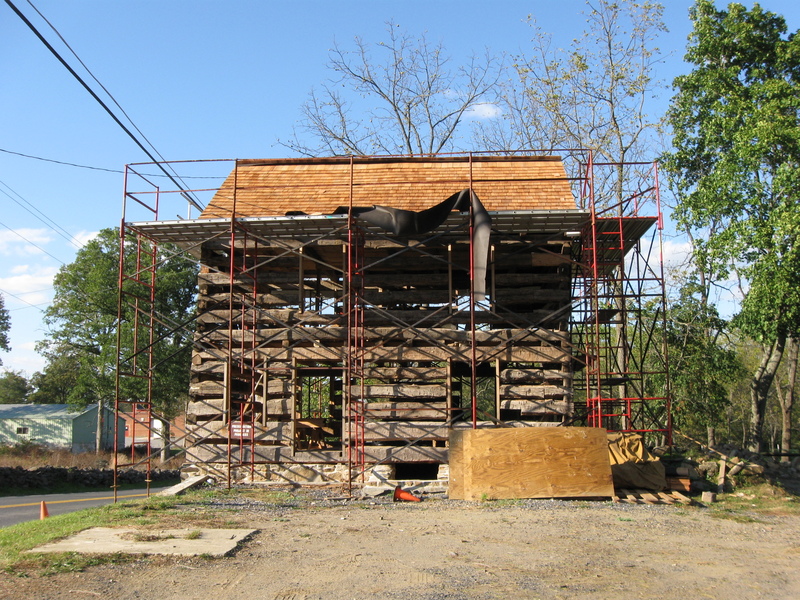 William Patterson House Stabilization on August 11, 2008. 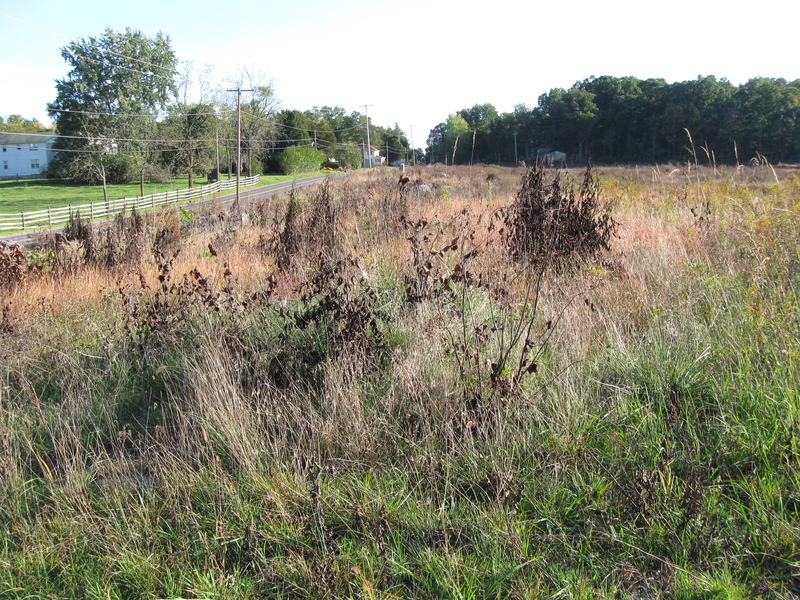 Cemetery Ridge Rehabilitation Shows Subtleties of Terrain on September 2, 2008. Tree Cutting on East Side of Cemetery Ridge Covers a Large Area on October 15, 2008. William Patterson Tree Cutting Update on October 17, 2008. 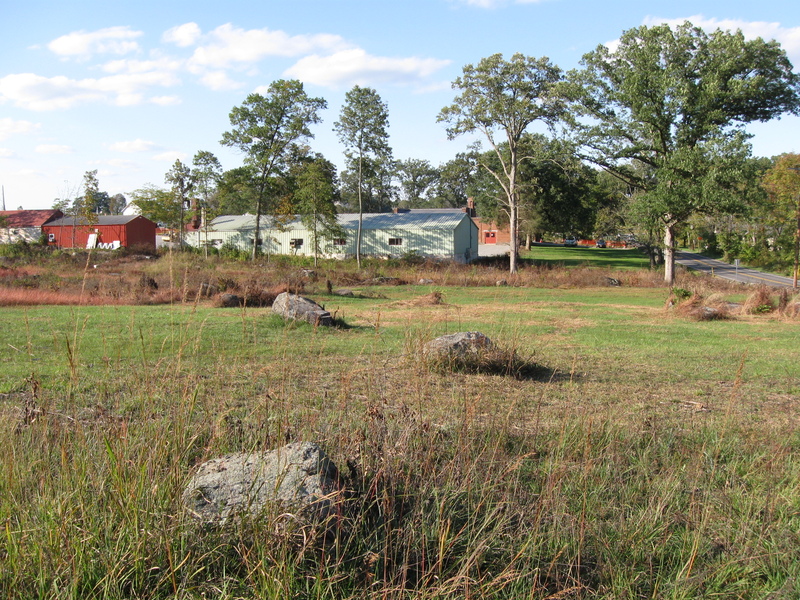 William Patterson Field Earthworks on October 29, 2008. 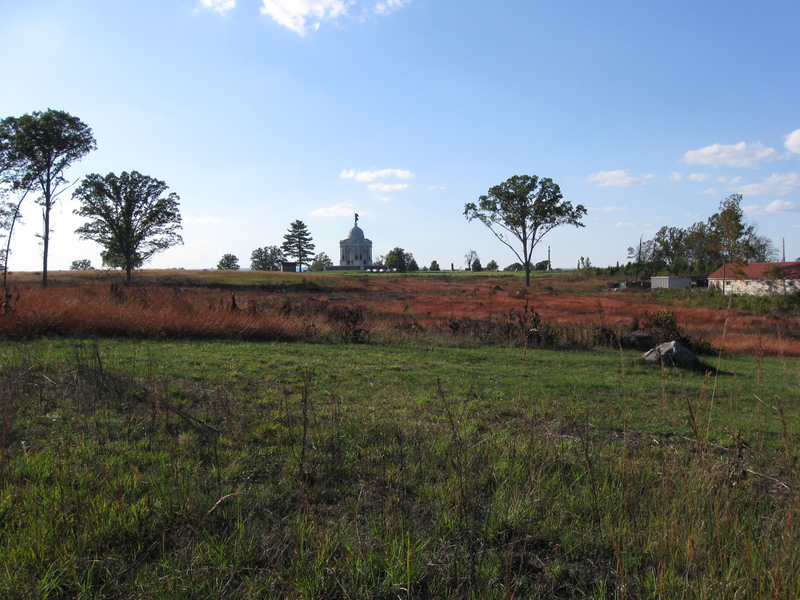 Confederate Earthworks on Seminary Ridge on October 30, 2008. William Patterson Farm Tree Cutting Update on November 9, 2008. William Patterson Field Earthworks 1890s Photo on November 20, 2008. William Patterson Farm Update and Patterson Field Panorama #4 on December 12, 2008. Licensed Battlefield Guide Rich Bellamy: Colonel Edward Ephraim Cross Part 2 on January 5, 2009. William Patterson House Deconstruction on January 18, 2009. William Patterson House Stabilization: Reconstruction Methods Impressive on January 28, 2009. William Patterson House Stabilization Update: Foundation Enclosed on February 22, 2009. William Patterson House Stabilization Update: Foundation Nears Completion on April 5, 2009. William Patterson House and Old National Park Service Visitor Center Updates on April 15, 2009. Old Visitor Center and William Patterson House Updates on April 21, 2009. William Patterson House and Peace Light Updates on May 1, 2009. William Patterson House Update on May 26, 2009. Gettysburg’s William Patterson House Update on June 11, 2009. Gettysburg’s William Patterson House Update on June 28, 2009. 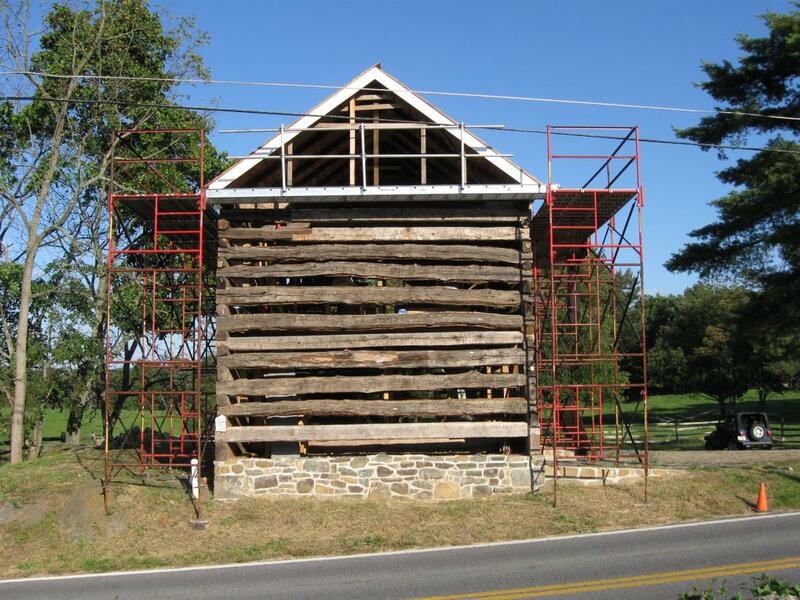 Gettysburg’s William Patterson House Update on July 17, 2009. Gettysburg’s William Patterson House Update on August 1, 2009. 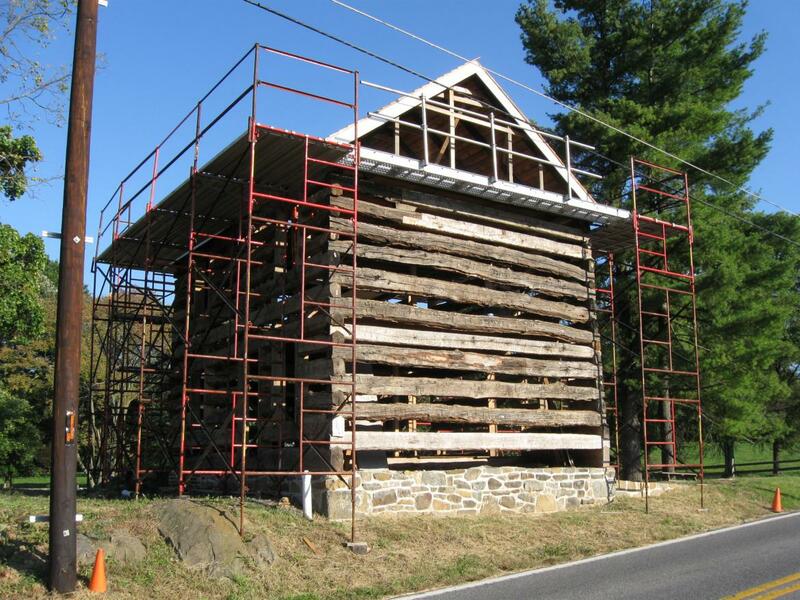 Gettysburg’s William Patterson House Update on September 12, 2009.